Bettye Jean Hayes Sessions was born on January 29, 1934, in Jacksonville, Florida, to John Henry Hayes, Sr. and Willene Porter Hayes. She was the fourth of five children. She married Malcolm George Aubrey Sessions with whom she gave birth to three children, Sabrina Felicia, Malcolm George Aubrey, II, and Byron Craig. She was preceded in death by Byron Craig Sessions, February 7, 1994. Bettye attended the public schools of Duval County and graduated from Stanton High School in 1952. She graduated from Florida Agriculture and Mechanical University in 1956, and earned a Master of Arts degree in English Education from Jacksonville University. Mrs. 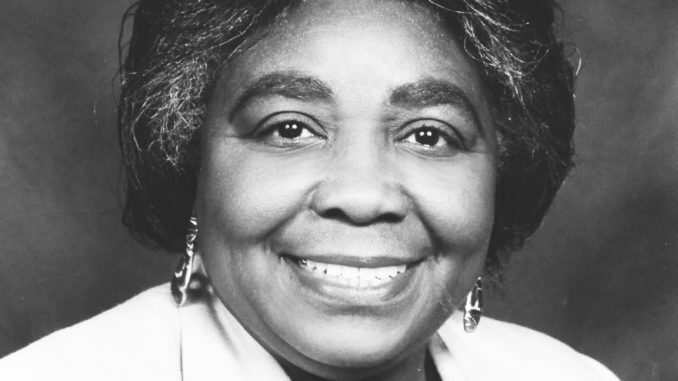 Sessions began her professional career in education in 1957 and taught for thirty-two years. From 1972-1990, she was Professor of Humanities at Florida Community College at Jacksonville where she retired. At FAMU she became a member of Beta Alpha Chapter of Alpha Kappa Alpha Sorority, Inc. and became a member of Gamma Rho Omega Chapter in 1959, serving as chapter president 1974-1977 and was a Golden Soror and Life Member of Alpha Kappa Alpha Sorority, Inc.
Mrs. Sessions passed away peacefully April 8, 2017. Survivors include her husband Malcolm G.A. Sessions, Sr.; daughter, Dr. Sabrina F. Sessions; son, Malcolm G.A. Sessions, II; grandchildren, great-grandchildren, a god child and a host of in-laws, family and friends. Funeral services celebrating the life of Mrs. Sessions will be held 10 a.m., April 15, 2017 at St. Paul A.M.E. Church, with Rev. Dr. Marvin C. Zanders, II, Pastor, officiating. Mrs. Sessions will rest in the chapel of St. Paul A.M.E. Church for visitation of friends on Friday, April 14th, 6 p.m. until 8 p.m. and in the sanctuary Saturday from 9 a.m. until the hour of service. Interment will be in Evergreen Cemetery. Services are being conducted by Alphonso West Mortuary, 4409 Soutel Dr., (904) 766-9671.